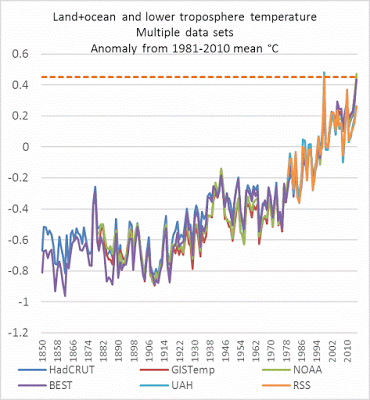 No Real-World evidence supports a “dangerous manmade climate change” thesis. In fact, a moderately warmer planet with more atmospheric carbon dioxide would hugely benefit crop, forest and other plant growth, wildlife and humans – with no or minimal climate effect. A colder planet with less CO2 would punish them. And a chillier CO2-deprived planet with less reliable, less affordable energy (from massive wind, solar, and biofuel projects) would threaten habitats, species, nutrition, and the poorest among us. And yet, as Hurricane Matthew neared Florida on the very day the Paris climate accord secured enough signatures to bring it into force, politicians, activists, and reporters refused to let that crisis go to waste. What nonsense. What hubris. Suggesting that humans can control planetary temperatures and prevent hurricanes, tornadoes and other severe weather is absurd. Saying an October hurricane augurs year-long chaos is either grossly ill-informed or deliberately disingenuous. Matthew was a powerful storm that left destruction and death in its wake, especially in impoverished Haiti. Its slow track up the southeastern U.S. coastline pummeled the region with rain, flooding, and more deaths. But it was a Category 1 hurricane with 75 mph winds when it made landfall in South Carolina on October 8, and a post-tropical storm as it moved offshore from North Carolina a day later. 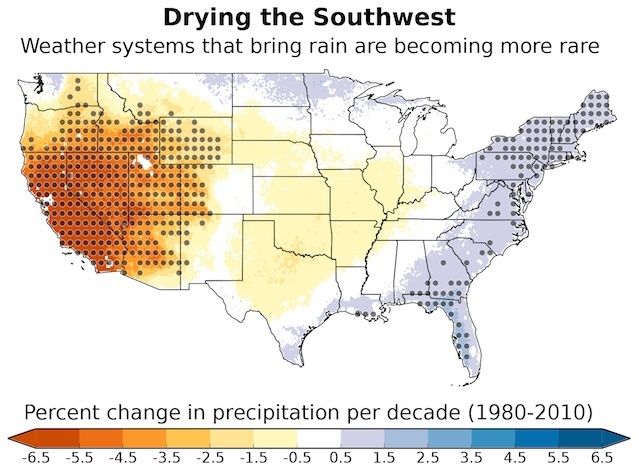 Despite the rain and floods, that makes a record eleven years since a major (Category 3-5) hurricane last made landfall in the United States (Wilma in October 2005). The previous record major hurricane hiatus was nine years, 1860-1869, according to NOAA’s Hurricane Research Division. 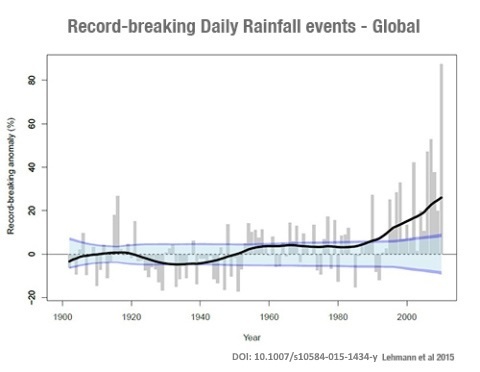 Only a charlatan would suggest that this record lull is due to rising atmospheric carbon dioxide levels. 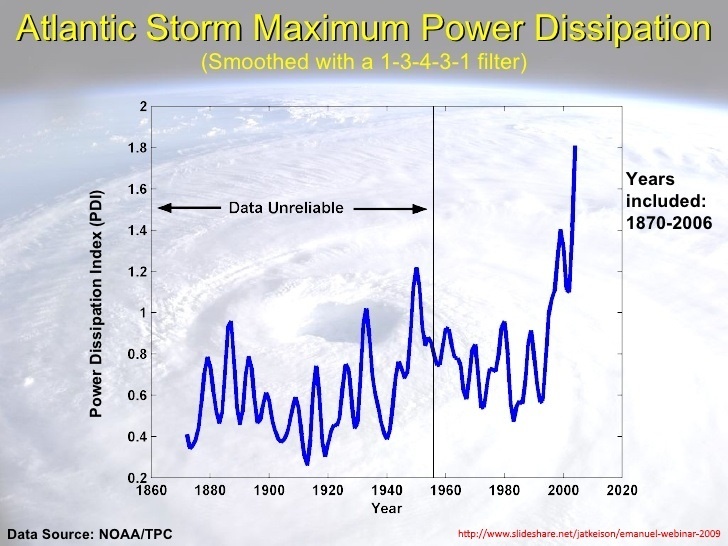 But plenty of alarmist charlatans claim that any violent or “unseasonal” storms are due to “too much” CO2. Since recordkeeping began in 1851, the U.S. has been hit by 63 Category 3 hurricanes, 21 Category 4 storms, and three Category 5s (1935, 1969, and 1995). Of 51 hurricanes that struck in October, 15 were Category 3-4. Other significant gaps in major hurricane strikes on US coasts occurred in 1882-86, 1910-15, and 1921-26. The worst periods were 1893-1900 (8 Category 3-5 ‘canes), 1915-21 (8 Cat 3-4), 1926-35 (8 Cat 3-5), 1944-50 (8 Cat 3-4), 1959-69 (7 Cat 3-5), and 2004-05 (7 Category 3-4 hurricanes in just two years). 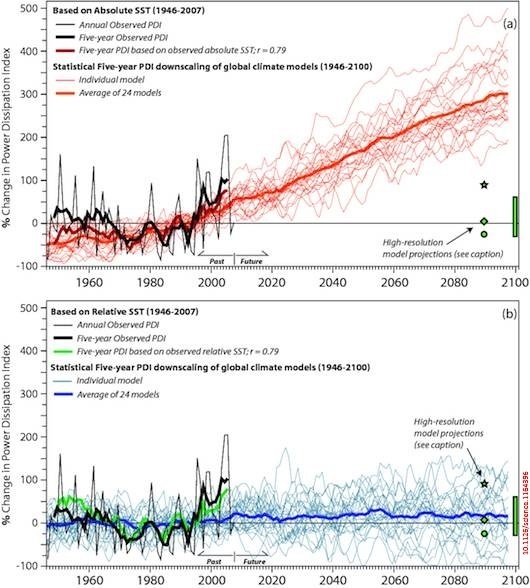 There is no pattern or trend in this record, and certainly no link to carbon dioxide levels. Even more obscene than the CO2-climate deception is the response to Matthew’s devastation. More than a week after the Category 4 version of this hurricane struck Haiti’s unprepared shanty towns, hundreds of thousands still had not received food, water, medicine, or clothing. Just as intolerable, United Nations “humanitarian and disaster relief” agencies were issuing “emergency appeals” for $120 million in “life-saving assistance” funds for the desperate Haitians. This after President Obama improperly diverted $500 million from an economic aid program set up to address disease epidemics – like the Zika and cholera cases that are rapidly rising in Haiti – to the UN’s Climate Action Fund. So Obama and the UN blame hurricanes and diseases on manmade climate change, but refuse to spend money they already have on a hurricane disaster, and instead beg for more money. Incredible! It is clearly not climate change that threatens the poor. It is policies imposed in the name of preventing climate change that imperil poor, minority, blue-collar, farm, and factory families. A new study by the Institute for Competition Economics concludes that Germany’s “green energy transition” will cost €520 billion ($572 billion) by 2025 – just to switch from gas and coal to renewable electricity generation. These costs will keep accumulating long after 2025, and do not cover “decarbonizing” the country’s transportation, heating and agriculture sectors, the study points out. This €520-billion bill amounts to a €25,000 ($27,500) surcharge for every German family – and 70% of it will come due over the next nine years. That bill is nearly equal to the average German family’s total net worth: €27,000. It is a massive regressive tax that will disproportionately impact low-income families, which already spend a far higher portion of their annual incomes on energy, and rarely have air conditioning. All of this strongly suggests that a forced transition from fossil fuels to wind, solar, and biofuel energy would cost the United States tens of trillions of dollars – hundreds of thousands per American family. The impacts of climate change obsession on developing nations would be far worse, if they bowed to President Obama’s suggestions and agendas. African nations, he has said, should “leapfrog” “dirty” fossil fuels and instead utilize their “bountiful” wind, solar, geothermal, and biofuel resources. In practice, that would mean having expensive, intermittent electricity and growing biofuel crops on Africa’s nutrient-depleted, drought-stricken lands, with no fertilizer, mechanized farming equipment, or GMO seeds. That is racist. It reflects an elitist preference that the world’s poor should die, rather than emit carbon dioxide “pollution,” drive cars, build modern homes, or engage in other “unsustainable” practices. Thankfully, few developing countries are listening to such nonsense. Instead, they are using oil, natural gas, and especially coal, in ever-increasing amounts, to lift their people out of abject poverty – because the “climate-saving” Paris non-treaty imposes no restrictions on their use of fossil fuels. The dictatorial U.S. EPA nevertheless stands ready to issue tough new methane rules for oil and gas operations, while Al Gore and assorted regulators advocate forcing farmers to control cow flatulence “to combat climate change.” Meanwhile, even Hillary Clinton has recognized that Russia provides millions of dollars in support for anti-fracking and anti-pipeline agitators in Europe and the United States. Keeping fossil fuels in the ground really means depriving people of reliable, affordable electricity; prolonging unemployment and poverty; having no feed stocks for plastics and petrochemicals, except what might come from biofuels; and blanketing hundreds of millions of acres of farm, scenic, and habitat land with biofuel crops, 400-foot-tall wind turbines, vast solar arrays, and new transmission lines. And as the UN’s top climate officials have proudly affirmed, “preventing climate change” is really about replacing free enterprise capitalism with “a new economic development model” and having an excuse to “distribute the world’s wealth” to crony corporatists and other “more deserving” parties. When taxpayers, consumers, unemployed workers and poor families finally recognize these inconvenient truths, the world will be a far better place – with true freedom, justice, and opportunity for all. In practice, that would mean having expensive, intermittent electricity and growing biofuel crops on Africa’s nutrient-depleted, drought-stricken lands, with no fertilizer, mechanized farming equipment, or GMO seeds. Laughable strawman. It would mean much more secure power due to faster implementation of electricity for lighting and refrigeration and hot water, without the danger of having a rebel group cut transmission and distribution lines whenever they have a grievance. Stating what you would like to believe does not make it true. China is building coal generating plant fast, power is very cheap by comparison to us and the whole economy depends on it being so. They have no intention of stopping as I don’t think they believe the c02 hype. Laughable? How can the load be balanced with demand? Order the sun to shine 24/7? The wind to be a bit more consistent ? Oh of course the grid will save us but, it can’t as its not a storage device and loses 28% in transmission. Really do try to understand the problem not gloss over it. Everyone may have been told so by the mis informed! What hubris. Suggesting that humans can control planetary temperatures and prevent hurricanes, tornadoes and other severe weather is absurd. 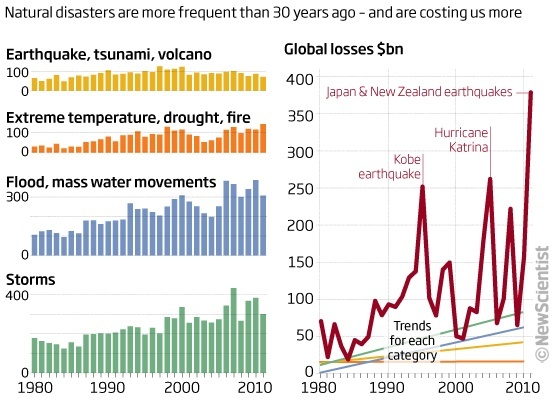 Nonetheless, man is increasing planetary temperatures, and there is evidence that man’s emissions are increasing the strength of hurricanes in some basins, and changing the distribution and strength of tornadoes. 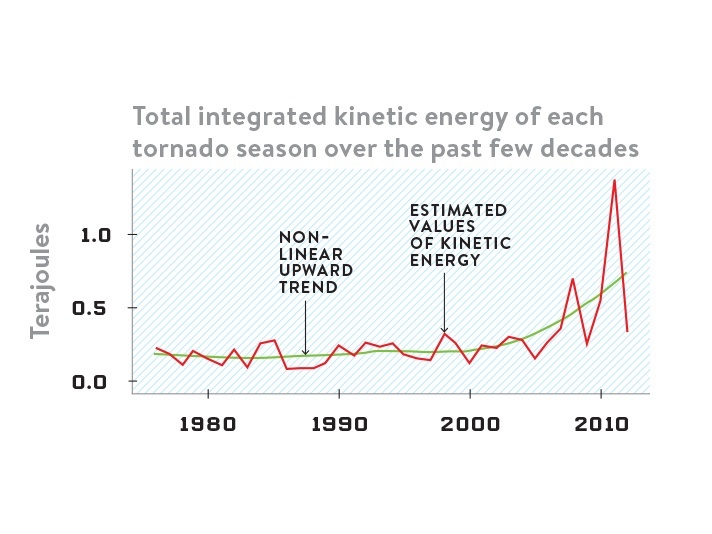 Also evidence that man is increasing the number of severe wx events. Aside from the comical implication that atmospheric CO2 is magically going away (fairies? magick? ), poor hapless Paul can provide zero evidence that habitats or species would be threatened by a slightly cooler world. Poor hapless Paul…erm…”forgot”… to tell you that the top 10 states for RES in the US have cheaper electricity than fossil-dependent states (and the rates rise slower than the other states). In fact, a moderately warmer planet with more atmospheric carbon dioxide would hugely benefit crop, forest and other plant growth, wildlife and humans – with no or minimal climate effect. Facts are facts. You don’t get your own facts. 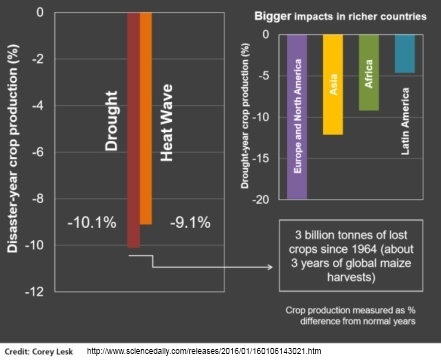 Crops actually have less nutrition in elevated CO2 regimes. 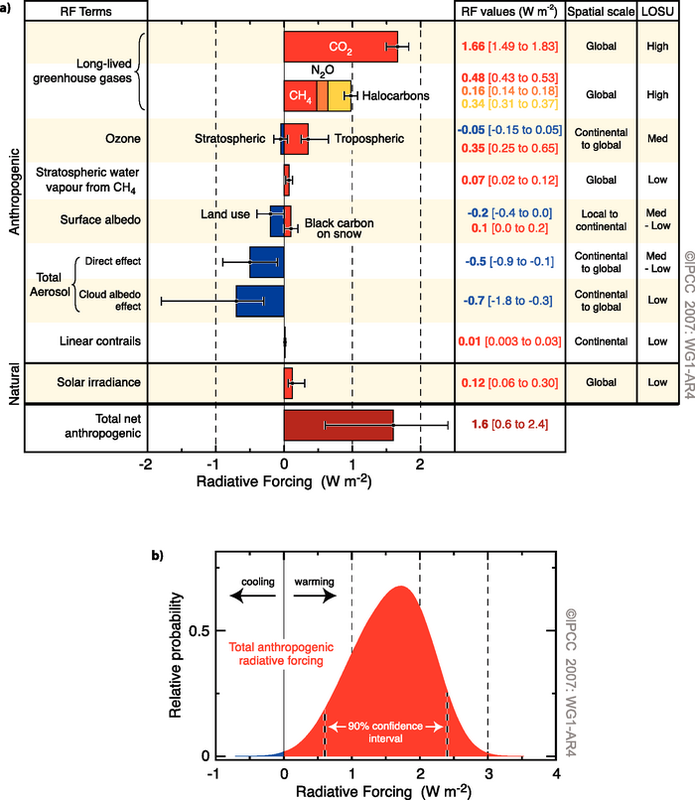 FACE studies show little to no effect overall of CO2 fert across ecosystems. And humans do not benefit by having to endure more heat waves. The italicized is absurd on its face. It was an economic assistance to foreign countries fund.